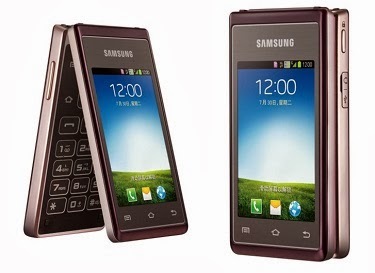 Samsung has finally launched its premium flip phone in India called as Galaxy Golden. The pricing for the same has been set at Rs.51,900 which means it is targeting the niche customers rather than mass media. Talking about the features, the flip phone comes with two 3.7-inch Super AMOLED displays, 1.7GHz dual-core processor, RAM of 1.5GB and 4.2 Jelly Bean version of Android operating system, to name a few. The outer display enables the users to make and receive calls while the inner screen will help to explore all the features of the phone and also have a large 3x4 keypad. 0 Respones to "Samsung launches Galaxy Golden flip phone in India"